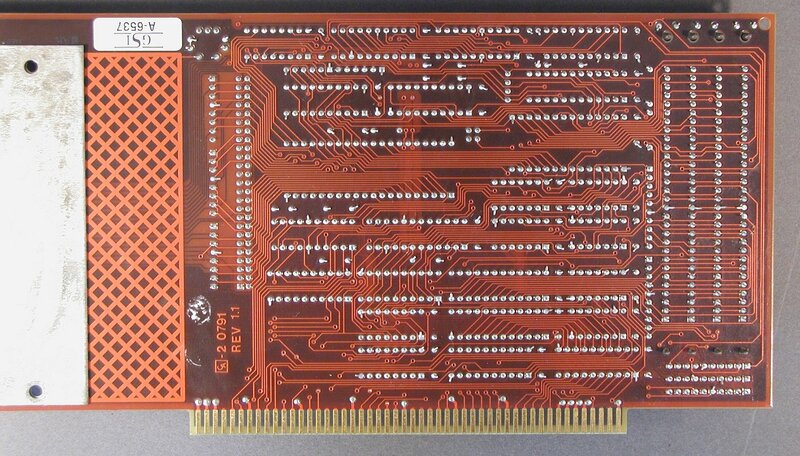 Full length Zorro II card which can take up to 8MB of RAM on the card in the form of 30pin SIMMs. 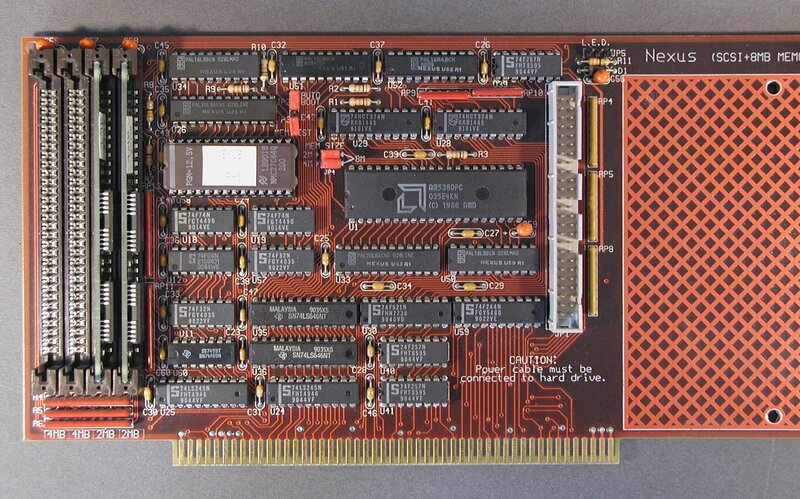 The card supports 1MB, 2MB and 4MB SIMMs. There is enough space to mount a hard drive directly onto the card, however the card has no provision for supplying the drive with power. The power must come from one of the PSU connectors. The card is very sensitive to how drives are connected and configured. 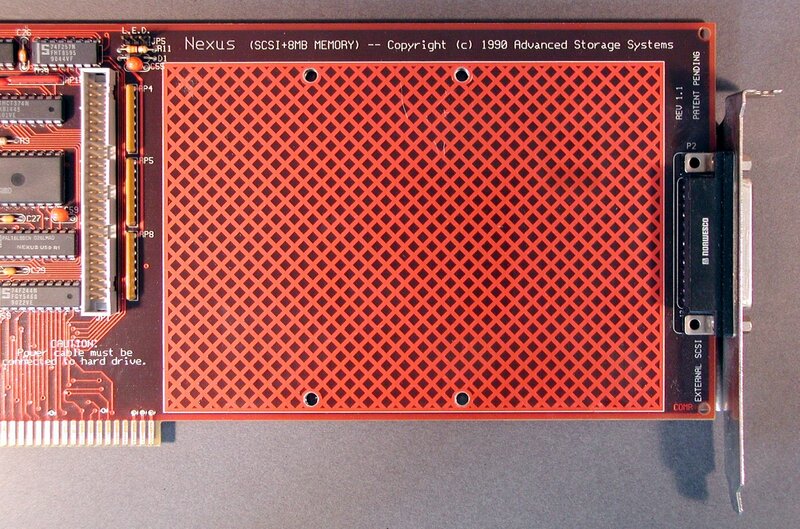 Each device which is attached to the Nexus card must use the lowest available SCSI ID. For example, if you only have one hard drive connected, then this should be set to ID 0, otherwise you will have problems autobooting and detecting devices. The card has an internal 50pin connector and an external 25pin connector. For the memory test program to work correctly, you must have the memory test jumper set. Also for the card to support Auto Booting, the auto-booting jumper should be set. Note: The Nexus could NOT handle all sorts of SIMM modules. Don't use SIMMs 1Mx8! These ones don't work properly.